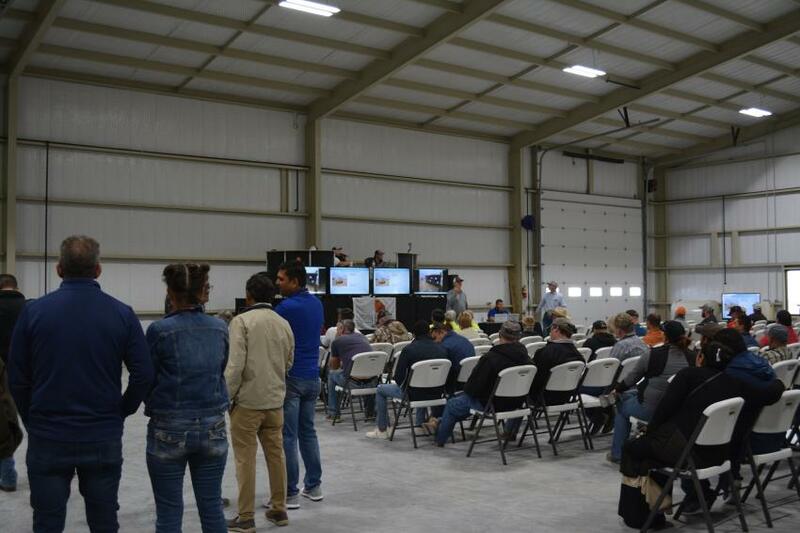 Iron Bound Auctions held its March 26 sale at its yard in Odessa, Texas, located at 17700 I-20 West, Odessa, Texas 79763. Iron Bound also has auction sites in Seminole, Texas, and Dalhart, Texas. A large crowd of bidders was on site and was joined by online buyers from all over the world. 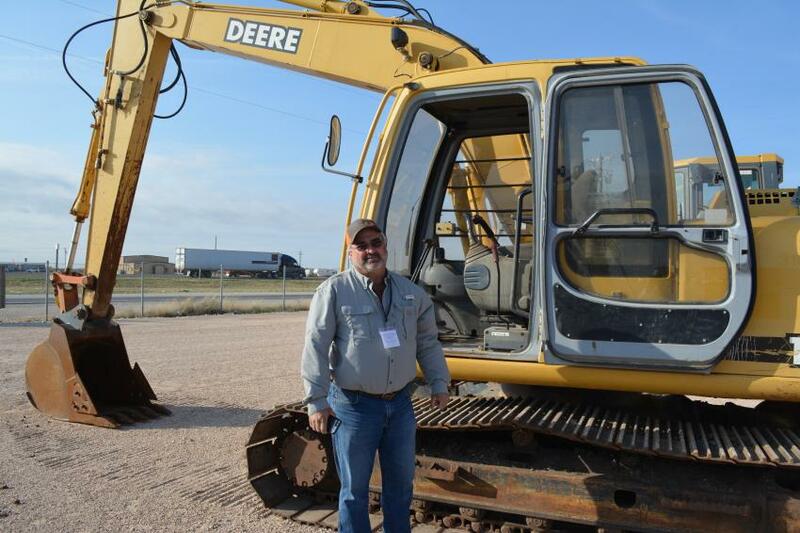 The sale featured excavators, skid steers, wheel loaders as well as trucks, trailers, light towers, generators and oilfield equipment. Iron Bound's next equipment auction is a two-day sale held May 21 and 22 at its Seminole facility, located at 750 U.S. Hwy. 180W, Seminole, Texas 70360. Mike Rehms of Rehms Trucking was in town from Natchez, Miss., for the big event. He would later bid on this John Deere 120 excavator. 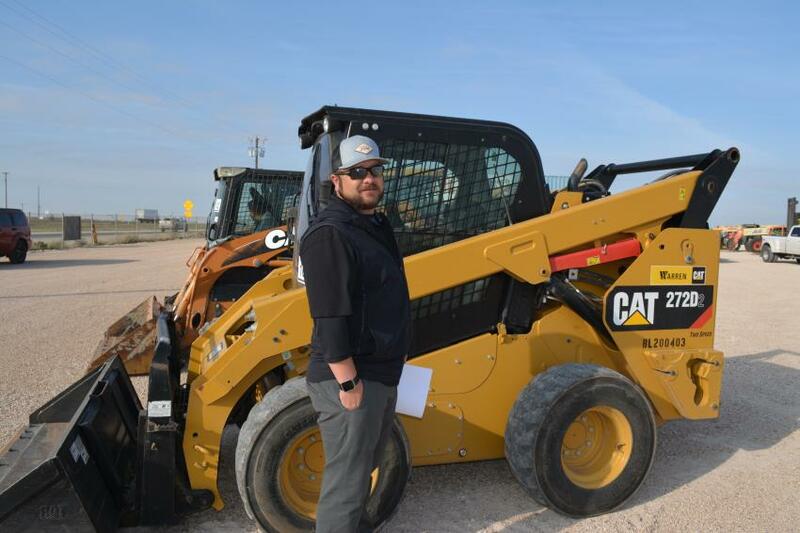 Motion Energy’s Beau Chapman was impressed with the number of skid steers Iron Bound had available in Odessa. He is shown here with a Cat 272D. It was a bright, sunny day in Odessa for Iron Bound’s big sale. 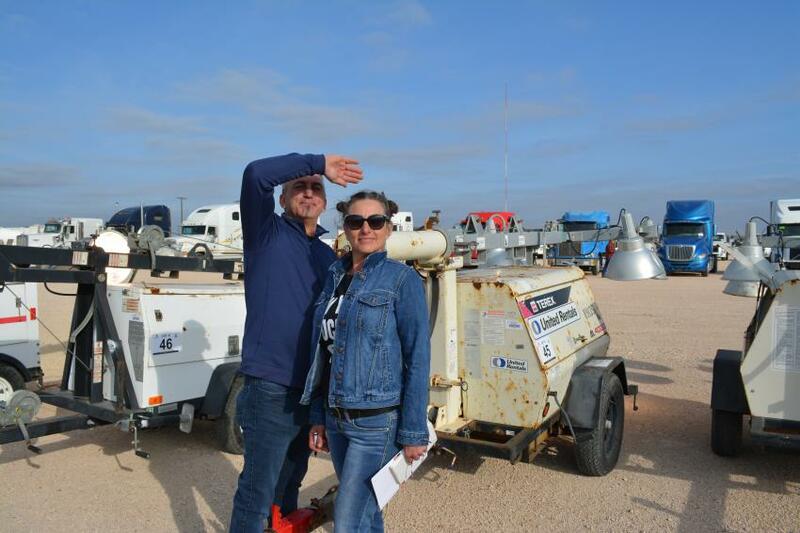 The Bradley’s, Jack and Kymberlee, rent light towers in the oilfield from their Midland, Texas, location. They found a good variety of towers including the Terex units shown here. 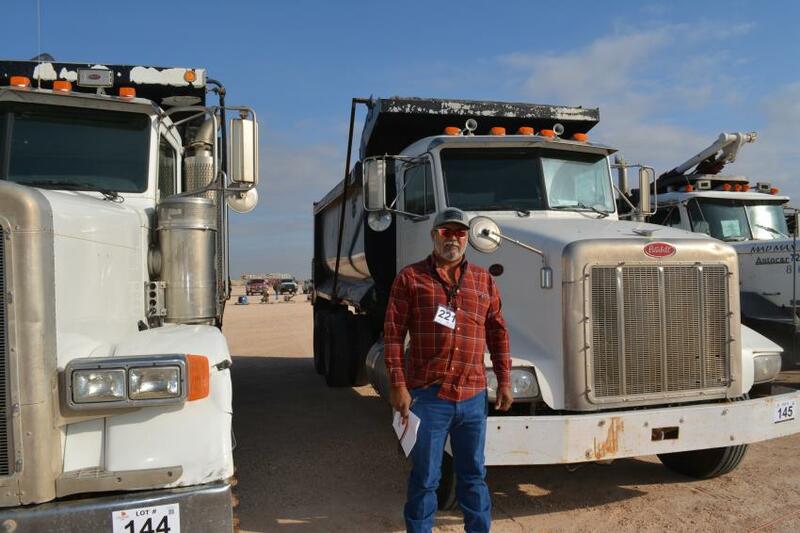 Rego Rodriguez of West Texas Construction was interested in trucks and he found a large selection for sale in Odessa. He bid on this Peterbilt dump along with other trucks. 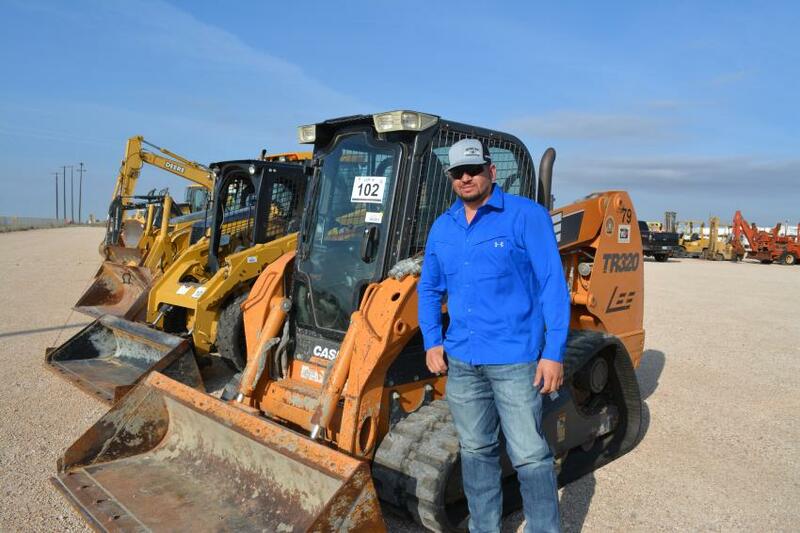 This Case TR320 track loader was one of several that Jaime Robles of Robles Construction would bid on. Robles does oilfield work and other construction around the Permian Basin. 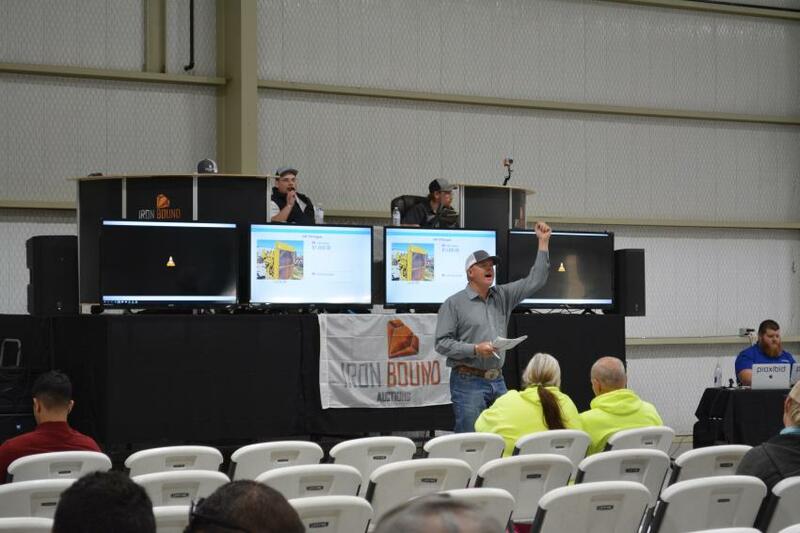 Bid callers look for bids on a Cat 379 engine, one of many up for sale at Iron Bound’s sale in Odessa, Texas. A portion of the crowd on hand for Iron Bound’s auction. 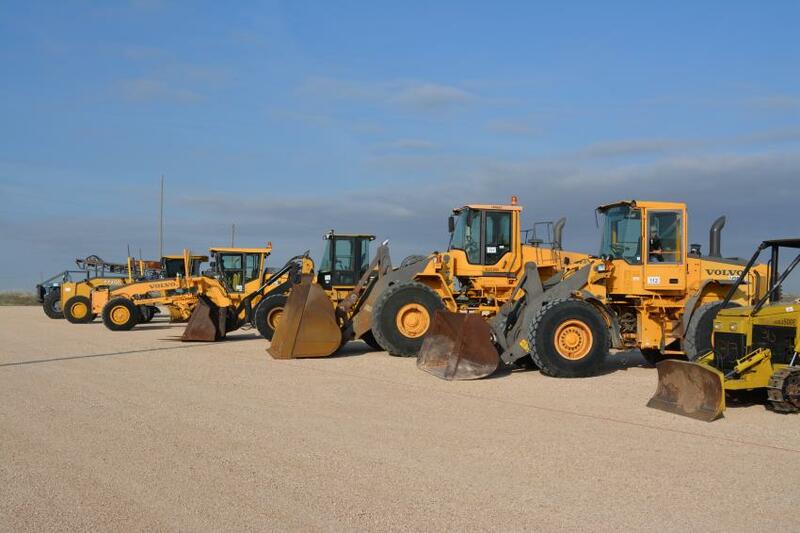 The company’s next auction will be held at its main site in Seminole, Texas, on May 21. There was plenty of quality yellow iron available to buyers from the Permian Basin and beyond at Iron Bound’s Odessa, Texas, sale.